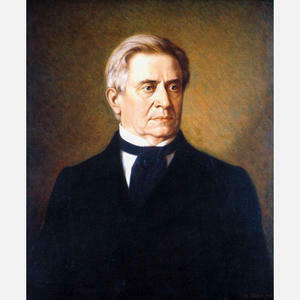 Joseph Henry (1797-1878) was a physicist and the first Smithsonian Secretary. His legacy includes a wide array of things named in his honor, including a laboratory, a professorial chair, ships, and even a mountain range. Featured below is a selection of Henry namesakes, given in chronological order. 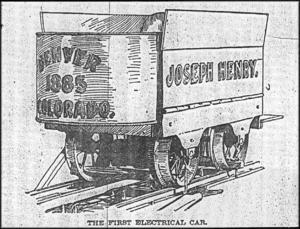 Note that the naming began during Henry's own lifetime, but continued long after. Henry backed several expeditions to the North Pole from the 1850s to the 1870s. One of the most famous of these was the Second Grinnell Expedition (1853–1855), organized and led by surgeon/explorer Elisha Kent Kane. Although the expedition failed in its main mission—to locate the missing polar explorer Sir John Franklin—it did gather meteorological and other scientific data while penetrating previously unexplored regions. Kane named scores of coastal bays, inlets, and other geographical features. 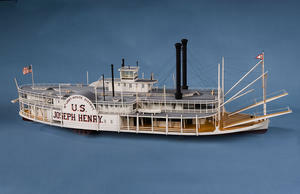 One of these, a small projection at 79° north latitude off the coast of Ellesmere Island, he named Cape Joseph Henry (now shortened to Cape Henry and not to be confused with the Cape Joseph Henry described below). 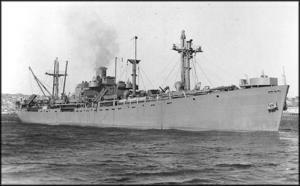 Kane thereby acknowledged Henry for giving his endorsement to the expedition in an influential letter to the secretary of the navy and for providing Kane with scientific instructions and instruments. Isaac I. Hayes, who had served as surgeon to Kane's Second Grinnell Expedition, commanded his own arctic expedition in 1860–1861. In a lecture given at the Smithsonian shortly after his return, he expressed gratitude "to the Smithsonian Institution for the liberal support which was rendered by it to the expedition, not only by its contribution of scientific apparatus, but through the encouragement which was given towards effecting its organization by the influence of the distinguished gentleman [Joseph Henry] who is the principle executive officer of the establishment." 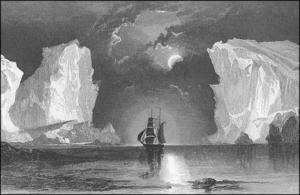 In his book, The Open Polar Sea: A Narrative of a Voyage of Discovery Towards the North Pole, Hayes noted, "The Smithsonian furnished a good supply of barometers and thermometers, besides other apparatus not less important, and also spirits, cans, and other materials for the collection and preservation of specimens of Natural History." 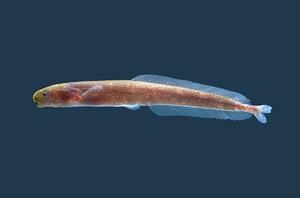 This specimen of fish was in the Smithsonian’s collection when the aptly named Theodore Gill described it. Gill, librarian at the Smithsonian Institution and an avid ichthyologist since his youth, believed the specimen had been sent from Liberia. In his published description of the fish, Gill stated, "I dedicate the species to my friend Prof. Henry, of the Smithsonian Institution, to whom I have been so much indebted for the privileges of studying the rich collections of the Institution, and especially of investigating the class to which the present species belongs." Of the dozens of polar explorations between 1850 and 1880, Charles Francis Hall's 1871 expedition on the US Navy ship Polaris has to be the one with the most movie potential. A screen version would undoubtedly portray Hall cruelly abandoning his family to pursue an obsessive quest for the North Pole, taking up with an Inuit couple to learn survival skills from arctic natives, and courageously leading a reconnoitering sledge party to the edge of the northernmost point ever seen by so-called civilized man, only to be murdered a few weeks later by a German doctor with Faustian ambitions. 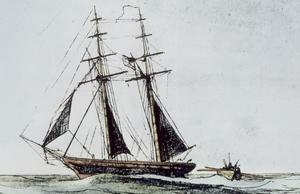 The point sighted by Hall just before his death was Cape Joseph Henry, located at 82° north latitude. 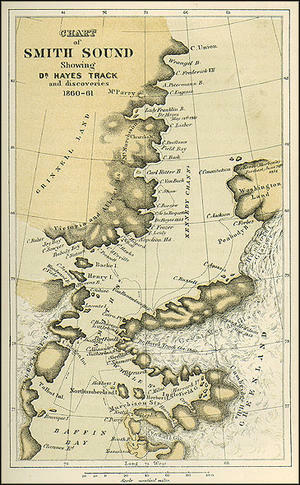 The cape, though well short of the North Pole, would become an important depot from which subsequent expeditions would venture forth into the unknown region called "The Great Frozen Sea." The commander of a British ship attempting to explore this region in 1875 wrote: "Beyond Cape Joseph Henry all was conjecture. . . . No land of any description could be seen to the northward—nothing but the rugged pack. So formidable and compact appeared this icy barrier that it seemed to stand out bold and resolute in its strength, effectually setting at defiance the puny efforts of man to penetrate its solidity, saying, as it were, 'Thus far shalt thou go, and no farther.'" John C. Green, benefactor of the College of New Jersey, now Princeton University, honored Princeton's noted teacher and physicist by endowing this chair in 1872. 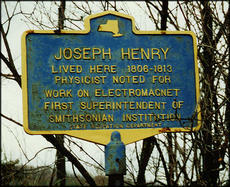 Henry had been a professor of natural philosophy (physics) at Princeton from 1832 to 1848. In 1873, Princeton selected Cyrus Fogg Brackett to be the first Joseph Henry Professor of Physics. The chair has since been held by many distinguished physicists, including 1977 Nobel Prize winner Philip W. Anderson. After hearing of Henry's death in May 1878, William Barber, engraver of the US mint, offered to design this medal in honor of Henry. He and his son Charles completed the design the following year and donated the medal to the Smithsonian Institution for "any application that might...be afterwards suggested." Henry's birth date is mistakenly given as 1799, rather than 1797, due to confusion over Henry's age. On the back of the medal is a Latin inscription taken from the Odes of Horace, Book 1, Ode 24: "Incorrupta Fides Nudaque Veritas Quando Ullum Inveniet Parem." The lines from which this inscription is excerpted read, according to one modern translation, "Where then will Justice, and Faith, the sister of Justice, and Decency, and Truth that needs no ornament, find his equal?" This side-wheel lighthouse tender (lighthouse service ship) was named after Henry in honor of his years of service on the US Light-House Board. Henry served on the board, without compensation, from 1852 until his death in 1878 and was chairman of its committee on experiments during these years. 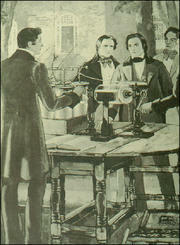 From 1871 to 1878, he was also chairman of the board. Henry helped introduce numerous improvements in methods of illumination and signalling, and under his leadership the Light-House Board undertook both basic and applied research in optics, thermodynamics, and acoustics. Shortly after his death, the federal government appropriated $11,000 to provide his widow with compensation for the "inestimable" value of his contribution to the nation's lighthouse system. Lighthouse tenders were ships that serviced and maintained lighthouses. They were needed because lighthouses were often situated in isolated areas, where access to supplies was limited for keepers and their families. Some tenders were also used to maintain the coastal buoy system. "Through storm, darkness, and sunshine," a government official once said, lighthouse tenders "do their work for humanity without any boasting, without any advertising, with none to trumpet their praises, and with only their own sense of duty to guide them." 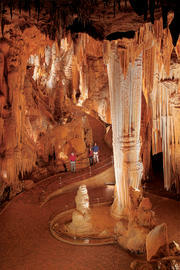 The Henry-Baird Column, also known as the Double Column, is a pair of towering stalagmites in the Giant's Hall of Luray Caverns. The caverns were discovered in Luray, Virginia, on August 13, 1878, three months after Henry's death, by locals Andrew J. Campbell and his nephew William B. Campbell, along with travelling photographer B. P. Stebbins. The discovery of one of the most interesting caves in America caused something of a sensation. It generated coverage in the major publications of the day, including Harper's Weekly, Frank Leslie's Illustrated Newspaper, the New York Herald, Century Magazine, and Scientific American. Illustrators published sketches of prominent features, and illuminated tours of the caves (lit by as many as ten thousand candles) were given on special occasions. 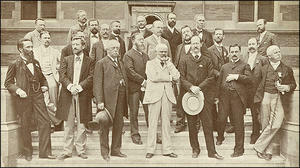 In July 1880, a party of Smithsonian officials toured the caverns at the invitation of the discoverers and proprietors. The Smithsonian party included chief clerk William J. Rhees, geologist Charles A. White, photographer T. W. Smillie, as well as two ethnologists, an archaeologist, and a chemist. Their tour lasted for two days and resulted in a twelve-page report in the Annual Report of the Smithsonian Institution for the Year 1880. Subsequently a one-thousand-pound stalactite was removed and transported to the Smithsonian. In 1882, Horace Hovey, considered an authority on caves, published a map of Luray Caverns in his Celebrated American Caverns. Hovey himself named most of its halls, rooms, and objects ("Christening is my business," he reportedly said). 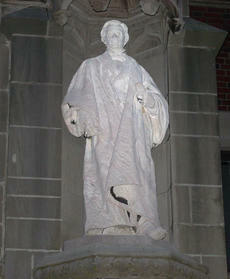 An exception was the Henry-Baird Column, which is the name used on Hovey's map. 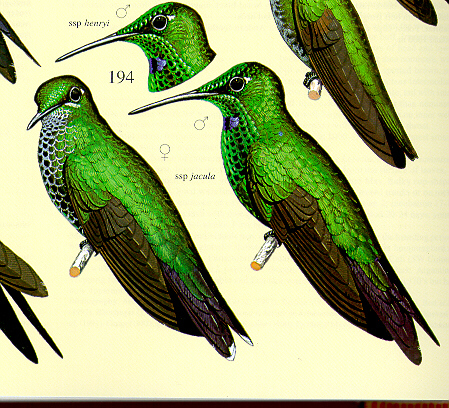 It was given this name by a small natural history society from Reading, Pennsylvania. A somewhat cryptic explanation appeared in the 1882 edition of S. Z. Ammen's History and Description of the Luray Cave, in which Ammen discusses the "Double Column" and appends this note: "Recently dedicated by the Reading Society of Natural Sciences, under the name 'Henry-Baird Column,' to the late Prof. Joseph Henry, the first Secretary, and Prof. Spencer F. Baird , the present Secretary of the Smithsonian Institution at Washington." The physics department of Princeton University gave the name Joseph Henry to its laboratory facilities, which by 1970 would include those located in the newly built Jadwin Hall as well as in Palmer Hall and the Elementary Particles Laboratory. Henry had been professor of natural philosophy at Princeton from 1832 to 1848. 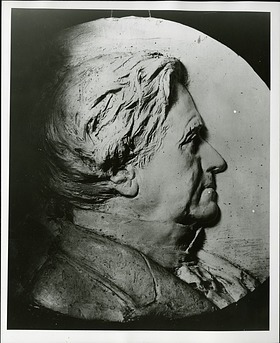 Although his tenure as Secretary of the Smithsonian began in 1846, he retained his position at Princeton until June 1848. For many years thereafter his former colleagues tried to convince him to return to the school. Frank Millikan, "Henry Namesakes," Smithsonian Institution Archives. Frank Millikan, "Henry Namesakes Notes," Smithsonian Institution Archives. 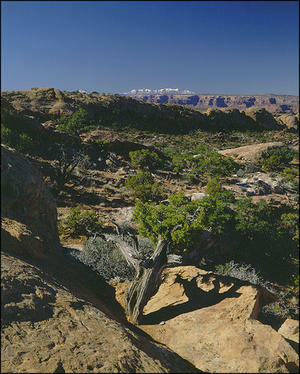 Ellen Alers, "Road trip!," Bigger Picture (blog), Smithsonian Institution Archives, June 29, 2011.